Meeting arranged to discuss future of empty Caernarfon industrial site | News by Wales Express News, People Before Profit! 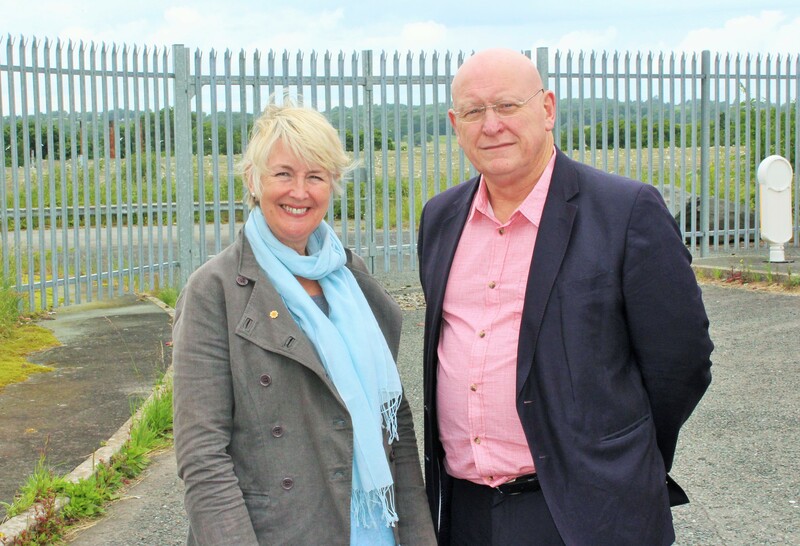 The future of one of north Wales’ largest abandoned industrial sites is back on the agenda this week as Arfon MP Hywel Williams and AM Siân Gwenllian prepare to meet with the owners of the former Ferodo and Dynamex factory in Caernarfon on Monday, September 19. 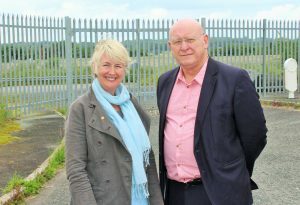 Hywel Williams MP and Siân Gwenllian AM outside the empty Ferodo site in Caernarfon. The twenty seven acre site which has lain empty since 2008 is privately owned by Warwickshire-based property developers the St Francis Group. The brownfield site has fallen into a state of significant disrepair and calls are now being made to develop the site as soon as possible with the aim of creating much-needed local jobs. Previous articleGetting ready for the Strictly Come Dancing roller-coaster!